Jobu Reviews Andy Pettitte’s huge night. When Andy Pettitte made his 2012 debut last Sunday against the Mariners, he looked good, but I mentioned in my series review that he didn’t quite have the vintage Andy Pettitte stuff. He walked a couple of hitters and left a couple of pitches up in the zone, and he paid for it with two two-run home runs. 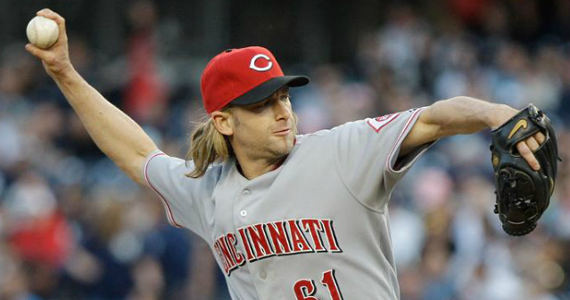 When Cincinnati came to town on Friday night, so did the Andy Pettitte of old. It didn’t start out completely cleanly, but it certainly wasn’t Andy’s fault. He struck out the leadoff hitter in the the top of the first inning, but catcher Chris Stewart let the ball get by, and then made a throwing error trying to get the batter at first. Suddenly, there was a runner on second with nobody out. After a sacrifice bunt, there was a man on third with one out, with the biggest bopper on the Reds, Joey Votto, due up. Pettitte hunkered down and put the team on his back, striking out Votto and Brandon Phillips (no slouch either) to get out of the inning. After that, it was smooth sailing. After that first inning, Andy was nearly un-hittable. No other batter even reached second base on the night. There was a two-out single by Todd Frazier in the second, which Pettitte followed by inducing a pop out from Miguel Cairo. Ryan Hanigan led off the third with a single, and Pettitte followed that up by striking out the next three batters, including Votto again. A two-out single in the fourth by Chris Heisey was also followed by a pop out. In the fifth, Drew Stubbs led off with a single, but a fly out, a caught stealing and a ground out took care of that threat too. The last runner Andy allowed was a one-out walk by Heisey in the top of the seventh, and Andy got out of that one with a line out and a ground ball. Despite being over 100 pitches after the seventh, Girardi sent Pettitte out to pitch the eighth, because Joe likes to see if he can get pitchers to blow their own games, that way Soriano doesn’t have to do it. Instead of blowing it, Pettitte had one of his easier innings of the night, getting Hanigan, Zack Cozart and Stubbs in short order to end his night. After that troublesome first inning, no other Cincinnati Red even reached second base. In a 1-0 game, that’s huge. The Yankees would add three big runs in the bottom of the eighth (we’ll cover this in the series review on Monday), but that came after Pettitte took the team on his back for eight innings with only a one run cushion in what was basically a must win game. Incredible performance. After the eighth, Andy gave way to Boone Logan, who closed things out rather easily as well. Although he jokingly acknowledged that he’s usually not the one to go out there and pitch those shutout innings, he did it tonight, and I think twenty-five guys in the clubhouse and millions of fans at home expelled a big sigh of relief. After Sunday’s outing, I thought Andy was going to be able to help this team in 2012 once he shook off some of the rust that 19 months away from the game will build up. I never thought he’d be this good this quickly, though. I know that one start doesn’t mean Andy will be charging his way toward a Cy Young this year, but he really showed just how much he can help stabilize this team. It was vintage Pettitte; his first win in two years, and just what the Yankees needed. 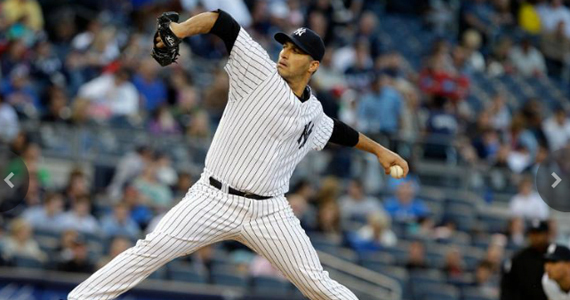 Pettitte’s Final Line: 8 IP, 4 H, 1 BB, 9 K, 115 pitches.